The opportunity to see David Lean’s final four films again on the big screen is a dream come true for me. 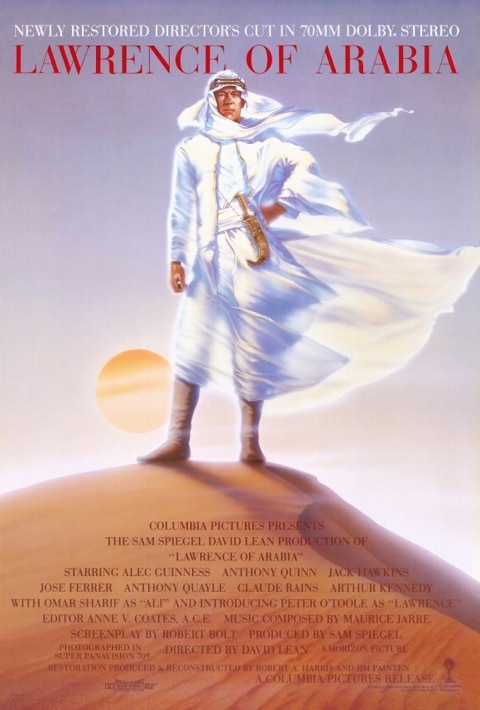 It was Lawrence of Arabia which ignited my lifelong passion for cinema as an impressionable teenager. The impact of these four masterpieces on my film making has been immense. I was really sad when I saw that the four films were screening in a David Lean season in Auckland earlier this year and there was no way with all my commitments that I could get to see them. What joy that the season has now come to the Rialto Dunedin and I will be able to see all four films on the big screen as Lean had intended. Young people are so used to seeing these films on DVD and video, but nothing can compare with their power in the cinema. Walking into the beautifully atmospheric Rialto cinema in Dunedin this afternoon to watch Lawrence of Arabia was just like my first visit to the cinema as a teenager, I was transfixed as that beam of light from the projection room lit the screen and the magic of this wonderful film had me captivated once more. This is cinema at its very best and something which television or video can never capture.